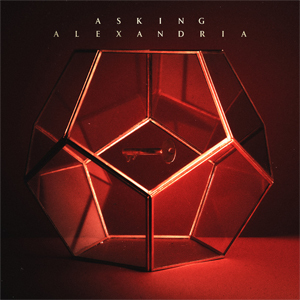 ASKING ALEXANDRIA launch new song “Where Did It Go?” (streaming below) from the band’s forthcoming, self-titled album as they unveil the album artwork for the twelve-song release. Asking Alexandria pre-orders are available now HERE. Digital pre-orders include two immediate downloads: “Where Did It Go?” and “Into The Fire”. The Resurrection Tour, a co-headlining run featuring ASKING ALEXANDRIA and BLACK VEIL BRIDES, kicks off on Jan. 10 in Salt Lake City. Tickets for the five-week trek are available now.